CT24MB16 - Fascia Panels. Pc5-100 - Aerial Adaptor Fits The Following Models. Sprinter: 2006 Onwards. Vino: 2006 Onwards. PC2-75-4 - Wiring Harness. CT24MB06 Black Fascia Panel. Sprinter: 2006 Onwards. RW-AA-13 Aerial Adapter. Wiring Harness RW-WH-04. B-Class (W245): 2005 Onwards. Double Din facia for Double Din fascia/trim. Connection can be made to an ignition point on the cigarette lighter in your vehicle or straight to a fuse box ignition point. You will also need to connect the lose red wire of our wiring harness provided within this kit to an ignition point in the vehicle or the new radio will not power up. Liquid Ice 2008 Ltd. 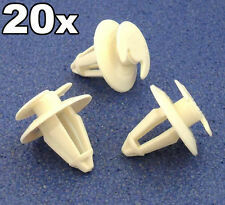 They are quick and easy to fit and will hold your new unit securely in your dashboard. In this case you will also be required to complete a short missing item form to verify that the item has not arrived. CT24MB16 Black Fascia Panel. Fascia Adaptor For The Following A-Class (W169): 2004 Onwards. Vito: 2006 Onwards. CT24MB16 - Fascia Panels. Pc5-100 - Aerial Adaptor Fits The Following Models. Vino: 2006 Onwards. Sprinter: 2006 Onwards. They fit into an 8mm hole. Do not rely on the compatibility checker as this only indicates if an item is used on a vehicle and not whereabouts it is used. FP-23-01 - Fascia Panels. Pc5-27 - Aerial Adaptor Fits. 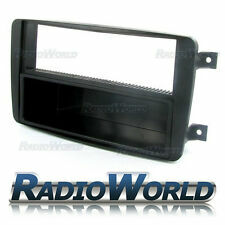 Double Din Car Stereo Fascia (Black). Fascia Panel. For car audio enthusiasts, Car Audio Warehouse is the place to be. Car Audio Warehouse. Fascia adaptors convert the aperture left after removing the original DOUBLE DIN manufacturer's head unit to suit the DOUBLE DIN size used by the majority of after market head unit manufacturers whilst retaining the original visual appearance of the dashboard. W220 Model. This panel is designed to fit 6"-7" double din units. If the panel is supplied with side brackets then the stereo cage is not used to fit the radio. Installation tip All application data is subject to change. 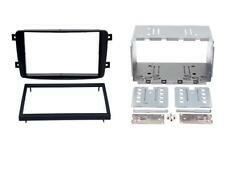 Double Din Car Stereo Fascia (Black). Fascia Panel. If the panel is supplied with side brackets then the stereo cage is not used to fit the radio. Double Din Fascia. These adaptors will convert the non din-sized aperture left after removing the factory stereo to a double din size ready for head unit installation. The high quality finish colour and texture are designed specifically to maintain the original look of your vehicles interior. 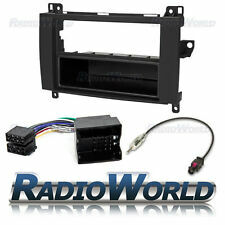 Double Din Car Stereo Fascia (Black). If you have bought a new car stereo that you want to fit into your vehicle then this is what you need. This includes a good quality fascia plate that is designed specifically for the vehicle so fits perfectly. Single Din Facia. These adaptors will convert the non din-sized aperture left after removing the factory stereo to a Single din size ready for head unit installation. The high quality finish colour and texture are designed specifically to maintain the original look of your vehicles interior. DFP-23-01 Black Fascia Panel Fits. Double Din Fascia Panel. Stereo Patch Lead (Free). Steering Wheel Interface Features. Steering Wheel Stalk Interface. Fascia Panel Adaptor. Fascia Adaptor: This adaptor will convert the non din-sized aperture left after removing the factory stereo to a single din size ready for head unit installation. The high quality finish, colour and texture are designed specifically to maintain the original look of your vehicles interior. For car audio enthusiasts, Car Audio Warehouse is the place to be. Car Audio Warehouse. Car Stereo Double Din Fascia Complete Fitting Adaptor Kit. Double Din Fascia Adaptor. Aerial Adaptor. If the panel is supplied with side brackets then the stereo cage is not used to fit the radio. You will need to connect the lose red wire from the cable supplied in this kit to an ignition point in your car or the new radio will NOT power up. Fascia adaptors convert the aperture left after removing the original. 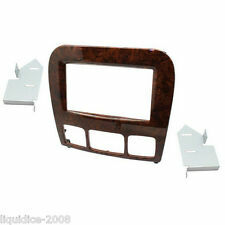 manufacturer's head unit to suit the standard Double DIN size used by the. majority of after market head unit manufacturers whilst retaining the original visual appearance of the dashboard. 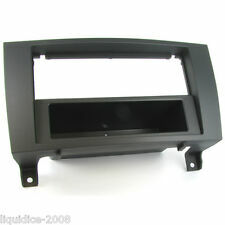 Single Din Car Stereo Fascia (Black). Fascia Panel. For car audio enthusiasts, Car Audio Warehouse is the place to be. Car Audio Warehouse. 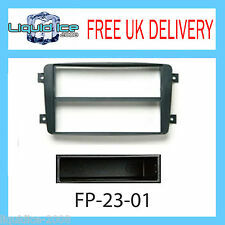 Autoleads - FP-23-01 Black Fascia Panel. Pc5-27 - Aerial Adaptor Fits The Following Models To resolve the issue, you will need to be technically competent to a small level. Fascia Panel. We will inform you of the decision beforehand. What’s Included in the Kit. The Bass Junkies Car Audio team has been proudly serving car audio products since 1995. We have a large state of the art showroom based in the. Double Din facia suitable for Double Din fascia/trim. If the panel is supplied with side brackets then the stereo cage is not used to fit the radio. Installation tip The Bass Junkies Car Audio team has been proudly serving car audio products since 1995. CT24MB06 Black Fascia Panel. RW-AA-13 Aerial Adapter. Wiring Harness RW-WH-04. B-Class (W245): 2005 Onwards. 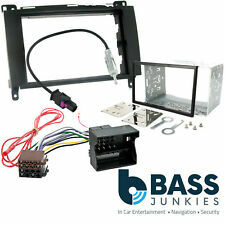 Double Din Fascia Panel & Cage Kit. 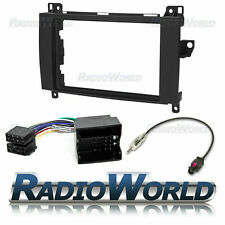 Double Din Car Stereo Fascia (Black). ISO wiring Harness. What’s Included in the Kit. The Bass Junkies Car Audio team has been proudly serving car audio products since 1995. Autoleads - FP-23-01 Black Fascia Panel Fits The Following Models. W212 Only not for Coupé/Convertible C207/A207 . This panel is designed to fit 6"-7" double din units. If the panel is supplied with side brackets then the stereo cage is not used to fit the radio. 0015427418, 0035428718, A0045428718. 0015427418, 0035428718, 0045428718, 05120341AA, A0015427418, A0035428718, A0045428718. Parking Sensors. Reverse Sensor Interface. You are looking at a High Quality PDC Sensor with 24 month warranty. This panel is designed to fit single din units. 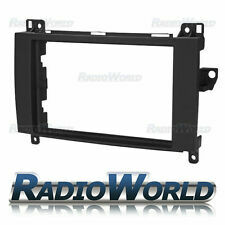 If the panel is supplied with side brackets then the stereo cage is not used to fit the radio. Installation tip The Bass Junkies Car Audio team has been proudly serving car audio products since 1995. Double Din Fascia & Cage Kit. Fascia Panel Fits Vehicles below that do NOT have air conditioning fitted. These adaptors will convert the non din-sized aperture left after removing the factory stereo to a double din size ready for head unit installation. Fascia Plate. Aerial Adaptor. Radio Cage Fits. 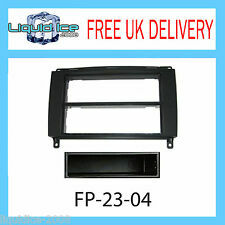 Connects2 CT23MB24 Double Din Fascia suitable for the following Vehicles These adaptors will convert the non din-sized aperture left after removing the factory stereo to a double din size ready for head unit installation. Steering Wheel StalkFeatures. Plug and play, no cutting of wires required. For car audio enthusiasts, Car Audio Warehouse is the place to be. Car Audio Warehouse. Single Din Fascia Adaptor. Stereo Patch Lead (Free CTMULTILEAD.2 Included). Beat (single wire connection). Car Stereos. car audio accessories. Car Audio Accessories. Car Make / Model Year Remarks. JVC (3.5mm or single wire). CT24MB16 - Fascia Panels. Double Din Radio Cage. Pc5-100 - Aerial Adaptor. Sprinter: 2006 Onwards. B-Class (W245): 2005 Onwards. A-Class (W169): 2004 Onwards. DFP-23-01 Black Fascia Panel. Radio Cage Fits. RHD W204 Models. This panel is designed to fit 6"-7" double din units. All application data is subject to change. 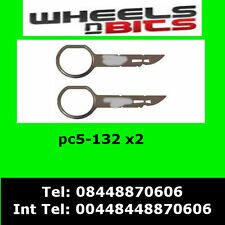 Manufacturer part numbers are used for reference only, parts supplied may be from different manufacturers. Double Din Fascia Adaptor. Steering Wheel StalkFeatures. What’s Included in the Kit. Plug and play, no cutting of wires required.